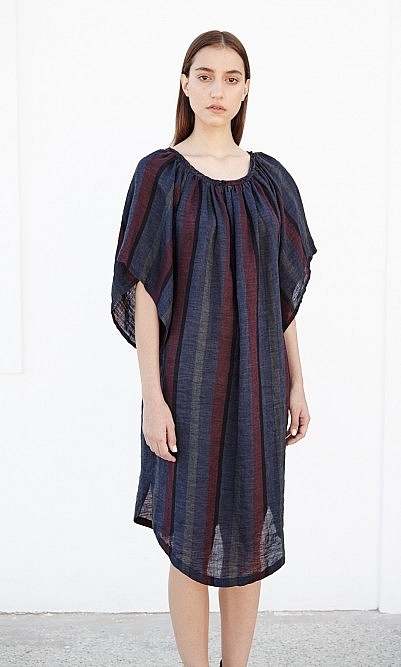 Linen smock dress by Humanoid with moody vertical stripes and wide fluted sleeves. Scooped hem. L89cm. Linen. Cold hand wash.
My perfect Summer dress, love the dark linen stripe, beautiful sleeves and flattering cut. Don’t be put off by the smock description, it’s airy but not voluminous .